Virtual reality is revolutionizing digital retail technology from planning to point of sale (POS). Through innovative solutions, designers can create a 3D virtual version of the store with multiple options, and then “walk through” the virtual space. VR in retail can be used for A/B testing, to estimate traffic flow and offer measurable data about how consumers will use a layout configuration — so retailers can optimize floor space with minimal guesswork. Here are some of the ways VR is changing the retail landscape. ShopperMX is one solution that offers companies a way to test store designs before even putting a shovel in the dirt. It lets retailers instantly visualize new layouts and shelf configurations with drag-and-drop features. It allows users to simultaneously design and compare multiple planograms, and collaborate with other stakeholders and brands, all within a virtual medium. With this setup, retailers can redesign, retest and continually capture data until they find an optimized layout. Design teams can save money and time while creating a space that fully meets the needs and experiences that customers desire. 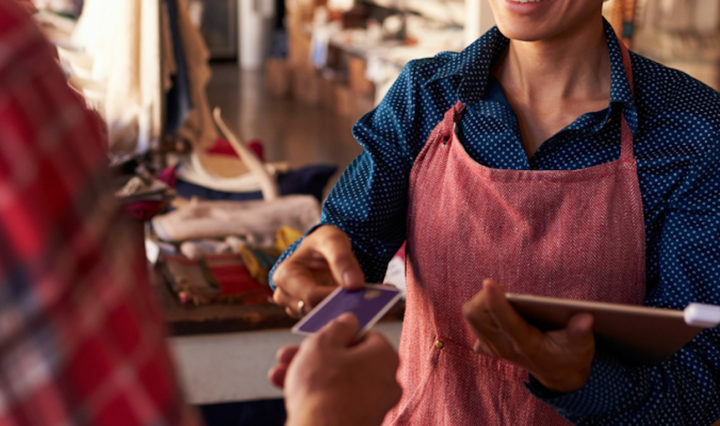 Nikki Baird, managing partner at Retail Systems Research, told Forbes that as the technology becomes more widespread, it is growing to be a greater part of testing consumer acceptance. Trying out store plans in the virtual world can also help executive teams drill down and customize designs for individual locations. “It’s far cheaper to build out a virtual reality store than a real one, and the feedback retailers get about virtual store designs is close enough to what they would get in a physical environment as to make no difference,” Baird noted. On a more granular level, VR in retail can be used to adjust merchandising and shelf layouts based on in-store consumer behavior. While some retailers already use security camera heat mapping to better understand the path consumers take through the store, these new VR applications even allow retailers to collect data on where visitors look while shopping. Yulio Technologies’ new “gaze-tracking” heat map records and analyzes head movements as consumers wear headsets like the Samsung Gear VR to determine where they are looking in a virtual environment. View the infographic to learn how digital technology is transforming the shopping experience. VRScout reports that applications for such new technologies are “virtually limitless” and that VR heat map analytics could be the “next big thing” for retailers. The ability to create highly detailed digital stores will enable collection of measurable data on virtually every part of the in-store journey — including how the consumer enters the store, where they tend to look or go upon entry, where they stand and look as they await checkout and where they look as they leave the store. For instance, retailers may learn that the majority of customers go to the right of the store upon entry, or that they better respond to certain endcap presentations. Being able to track and qualify these behaviors enables the retailer to more effectively design and stage the store. Through measurable and actionable information like this, retailers can enhance their store design and product placement without having to invest in physical testing infrastructure. Putting virtual reality directly in the hands of customers can also generate more sales and a more engaging customer experience. Brick and mortar retailers can use VR applications to help customers better visualize products and designs. Lowe’s has created a Holoroom where shoppers can recreate their room based on size and layout, then select products, put on VR glasses and see first-hand what their new room will look like. Recently, Sephora started using augmented reality in its app, allowing customers to virtually try on different makeup products. Marxent, a leader in VR products and spaces, has showcased an in-store virtual reality showroom that paired a head-mounted display with a tablet-based design app and a Samsung 85-in. 4K professional touchscreen display. The company’s VisualCommerce platform manages 3D product content and can be used to generate experiences for at-home apps, web visualizers, in-store touchscreens and headsets. Many retailers are also combining in-store and virtual experiences to tell their stories and merchandise in more compelling ways. They can create rich virtual shopping experiences that customers can navigate and virtually interact with products. Fun experiences create a “wow” factor — an added level of excitement in the shopping process. These virtual in-store experiences can’t be reproduced in the digital-only world. It’s not too early for retailers to consider VR as part of their strategy. From how to best design stores to where to place products on shelves, virtual testing can offer a new opportunity to upgrade the digital retail experience. Looking for more cutting-edge retail solutions? Check out our full line of innovative retail technology.